Yes, I want to receive the newsletter from the Kreativwirtschaft Austria (KAT), available in German, and I agree that the stated information is used by the KAT for this purpose. I can withdraw through a link in every newsletter. Please notice that the event is for policy makers and intermediates of the creative industries in the EU only. 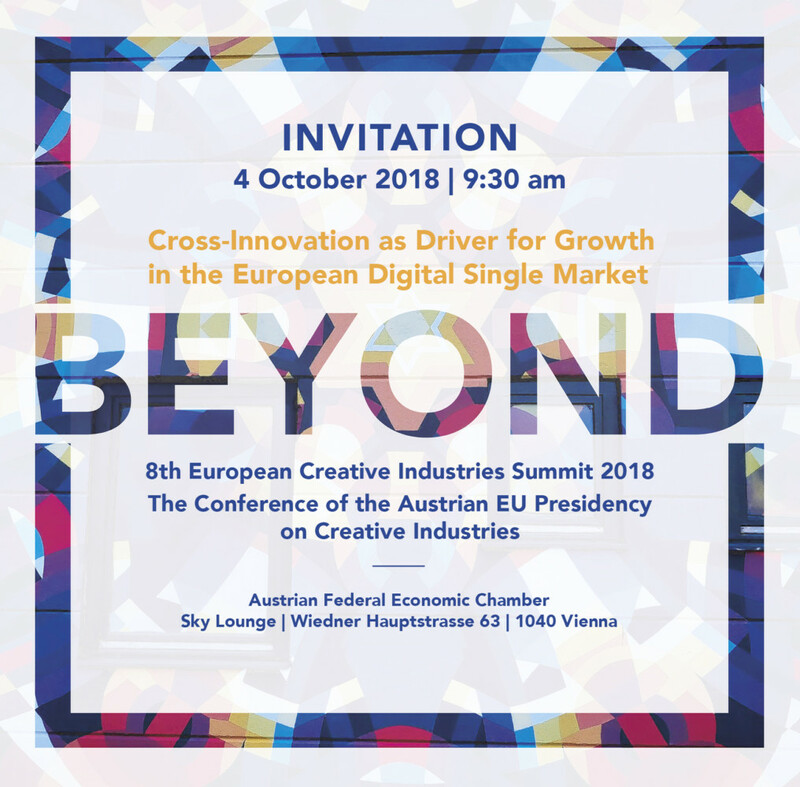 The information stated at the registration is used by the Kreativwirtschaft Austria (KAT), the Austrian Federal Ministry for Digital and Economic Affairs (BMDW) and the European Creative Business Network (ECBN) for the purpose of the organisation of the 8th European Creative Industries Summit 2018. As soon as the project is completed, the information will be deleted. Photos will be taken at the event and will be used for documentary via social media, website and newsletter of the KAT, BMDW and ECBN.